Introduction to library hours, location, and resources at the Morgade Library on Chastain campus in Stuart. The Morgade Library is located on the Chastain Campus of Indian River State College in Stuart, FL. 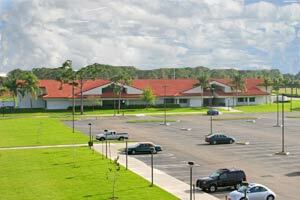 The library provides services to the students at IRSC as well as to Martin county patrons. The library houses academic books, fiction books, audiobooks, videos, journals, magazines, and newspapers. Patrons have access to wireless internet, black and white photocopiers, computers with printing capabilities, and many spaces to work quietly. The Morgade Library serves IRSC students, faculty, staff, and Martin county residents. Wi-fi is freely available in the library. The College Librarians at the Miley Library in Ft. Pierce, the Pruitt Campus Library, or the Meuller Vero campuses can help you with your research. Visit the IRSC Library website for more information.